H&R Street Performance SS Coil Overs are now available with polished stainless steel shock tubes. These new Coil Overs are shock damping adjustable—allowing personalized tuning of the shock setting to suit driving needs for high performance or comfort. Height adjustability is made possible by fully threaded shock bodies and easy to adjust spring seats / locking rings. H&R ride development engineers have precisely plotted the perfect shock damping curves of each application for optimized handling and superb ride comfort. 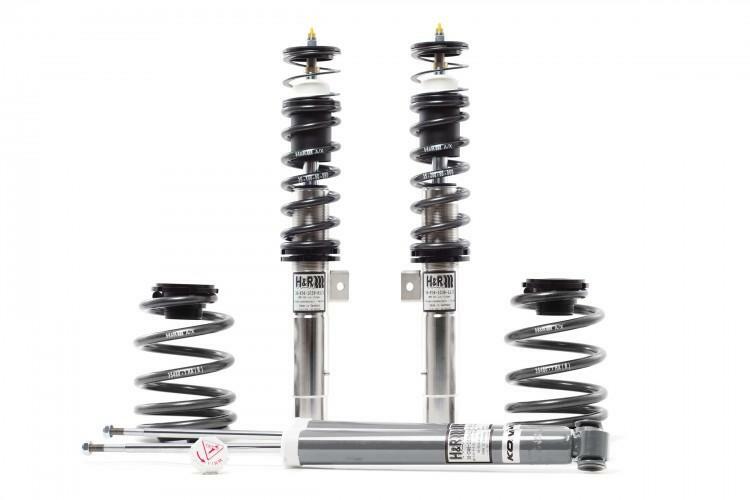 To ensure the best quality available H&R has partnered with world-renowned shock absorber specialist KONI to manufacture the shocks.